We are happy to announce that our teacher Ryushin Paul Haller Roshi will be visiting us from the 17th April to the 3rd May. Full details of the events including sesshin are listed below. 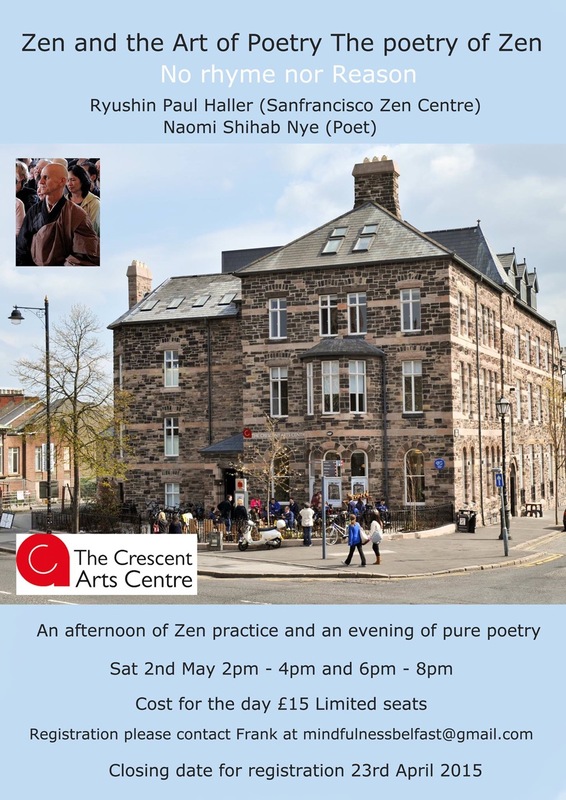 The poet Naomi Shihab Nye will also be visiting and running a workshop with Roshi Haller at the Crescent Arts centre. Spring Sesshin at Benburb Priory. In the evening there will be a Sangha meal. Board meeting in the evening and therefore no Zazen and talk. This will be run in conjunction with Naomi Shihab Nye. Click the image below for the zoomed in flyer.